Marsha D. Thomas, RN, is a servant leader and an innovator. She has accomplished much in her lifetime: she was the first Upward Bound student at the University of Cincinnati/Xavier University; she was the first African American parish nurse in the city of Cincinnati; she received a grant from the Susan G. Komen Foundation to develop a faith-based play on breast cancer; and she is the current president of the Black Nurses Association of Greater Cincinnati. Marsha has created strong, positive programs to bring in disadvantaged students and take them through the nursing program to graduation. She has recruited nursing leaders from diverse backgrounds that will lay a strong foundation for future nurses within the Black Nurses Association. Thomas, along with Rev. Steven K. Wheeler, MSN, RN, will institute a citywide graduation celebration for any/all minority students who graduated from any nursing school in 2013. Marsha is a very passionate person, and she is constantly challenging the community to change health outcomes for the disadvantaged. She is the project manager for her church at a clinic that is currently under construction in Benin, West Africa, to help women and children. Marsha has three grown children and three grandchildren. She is truly a bright light in a very dark world. What makes Marsha even more remarkable is that she has been diagnosed with multiple sclerosis and has been undergoing radiation treatment as well. But she has not allowed her disability to stand in the way of her service to others. At the community graduation celebration of nurses, you could witness firsthand the handiwork of this great lady. One graduating nurse had flunked out of several schools, and this student was about ready to throw in the towel on her dreams. Someone recommended that she go and speak with Marsha Thomas. After speaking with Marsha, this student was connected with tutors and received the necessary help to make it through the program. Marsha held on to this student all the way through the nursing program, and that night everyone witnessed the success story that Ms. Thomas helped to orchestrate. Might I add that this young lady had one eye. Marsha had the student focus on her ability and not her disability. As a result of Marsha’s dedication to the field of nursing and to humanity, Impact Christian Ministries has designed an award to be given away on a yearly basis in honor of this beautiful young lady. The award will be given to an outstanding individual nurse. Attached to the award will be $1,000 and an award that will be designed by local artist Jon Carter. Nomination forms will go out around the country so that this living legend will not be forgotten but emulated for generations to come. The first annual “Citywide Graduation Celebration” can be seen at www.ConsciousMediaProductionsTV.com. Is there a nurse in your life who inspires you? 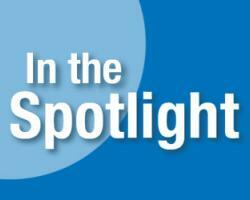 Nominate him or her to be featured in our new “In the Spotlight” series by sending an e-mail to [email protected]. Or visit our blog at www.mndivi.wpengine.com/blog to learn about outstanding nurses across the country making a difference.